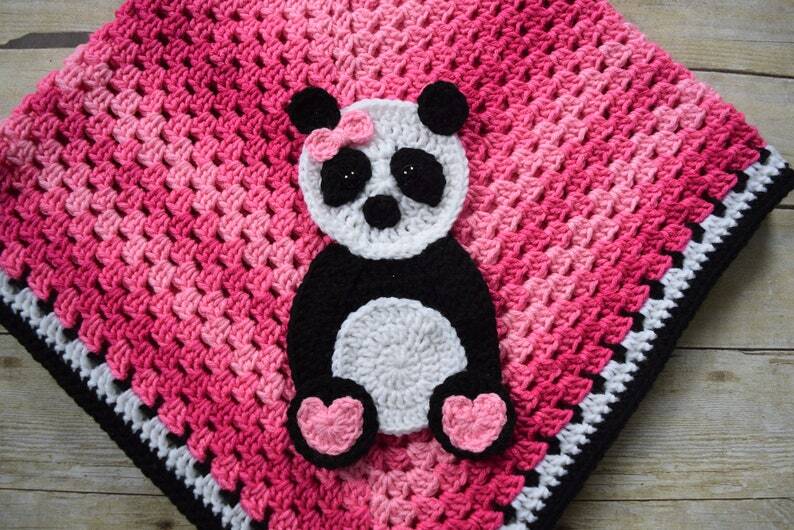 Isn't this Panda Bear baby Blanket adorable? It will make a unique baby shower gift for that someone special, and as the baby gets older they will love to cuddle with it. This blanket is already done and ready to ship, but if you would like another color, please message me and I can make one for you. Please note: This picture was taken using photographer backdrop paper, this blanket is not on the floor. This Baby Blanket is made lovingly in a smoke and pet free home with Durable Soft Acrylic Yarn. It is Machine Washable on the Gentle Cycle and Dry on Low Heat ( do not overdry).